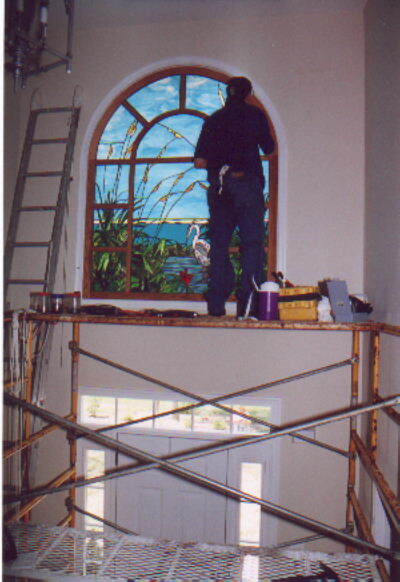 Art Glass Windows has been in business since 2003. 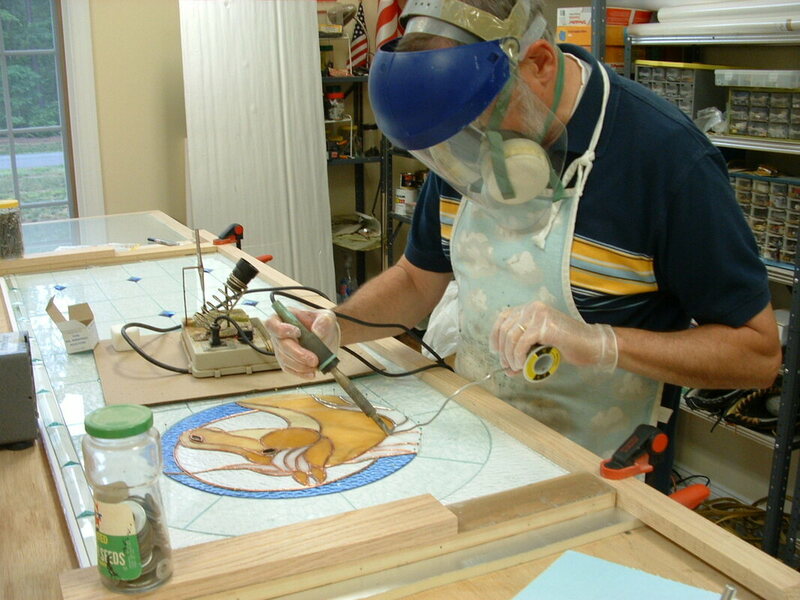 We design, manufacture and install stained glass windows for places of worship, homes and offices. 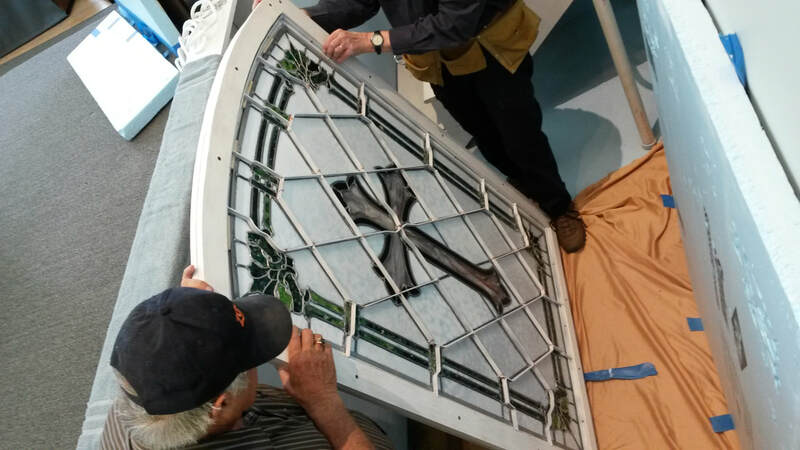 Our glass panels may be installed in windows, doors, transoms, and skylights. The glass panels are supported by steel reinforcement rods that are fixed to the back side of the panel and are concealed from view. See the image below that reveals the steel skeleton supporting our leaded glass windows.